If you ever find yourself at the Princess Juliana International Airport on the island of St. Maarten, it probably means you are about to be leaving paradise. It’s time to stop thinking about which pristine beach you are going to today, and time to start thinking about all those work emails which piled up while you were away. Thankfully, the features of this little airport make the transition back to the real world a little bit easier. 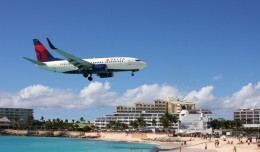 Recently receiving a major renovation in the mid-2000s, St. Maarten is due to receive another $132 million in upgrades. The terminal is on the small side, with only four jet bridges. This does not stop St. Maarten from receiving heavy aircraft such as the Boeing 747 and Airbus A340, so the terminal can get quite busy. For the aviation enthusiast, the lack of jet bridges is actually a positive attribute, as you very well might be boarding with air stairs from the ramp, up close and personal with your aircraft. Upon arriving at the departures hall, passengers are greeted with a wide open check in area with high ceilings and brilliant lighting, features with might just re-acquaint passengers to being inside for the first time in a while. Once checked in, head on over to the food court for a snack before your long flight. 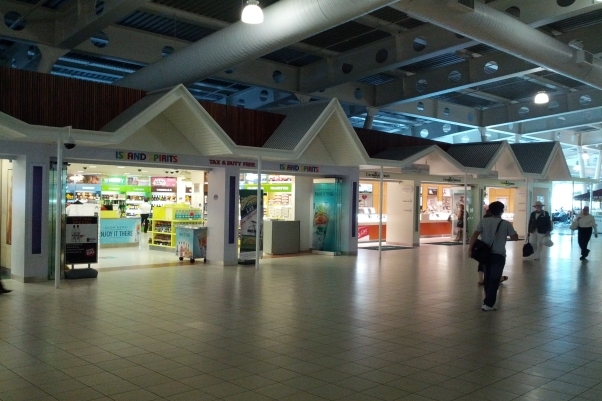 But beware; the food court is pre-security, so eat up before you advance any further. There are some food options post-security, but you will want to eat at the food court. Once through security, stop moving, because you are in for a treat. Resist the temptation to go any further, and immediately make a right turn. Just to the right of security, you should see a little gallery, featuring a photographic history of the airport. Did you know that the Concorde once flew to St. Maarten? 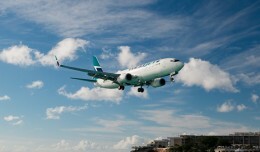 You will, once you see the epic picture of it flying over Maho Beach. St. Maarten has some truly unique aviation history, which they are completely embracing. Now, time to get to those work emails which have been piling up. The airport features free WiFi access, but coverage and speeds were spotty, at best. Coverage was present at the departures hall, but speeds were so slow that it took five minutes just to load the log in page. While the connection was decent at the security area, there was absolutely no coverage on our half of the concourse, nor downstairs at the hardstand gates. 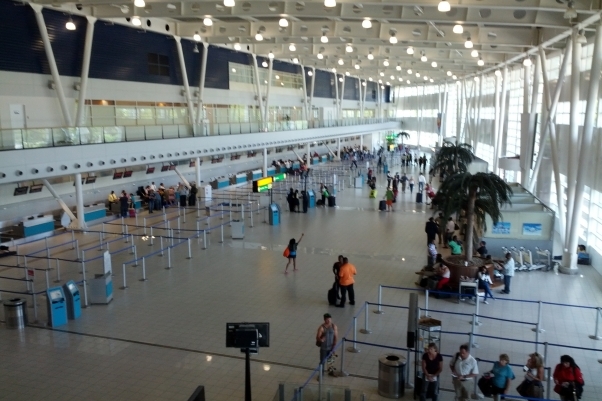 St. Maarten does feature a “business class lounge” with WiFi, and entry costs $20. Post-security, there are a few shops and restaurants to help pass the time before your long flight out of paradise. 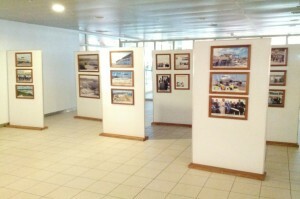 For an airport of its size, the passenger experience has advanced light years in a very short period of time. 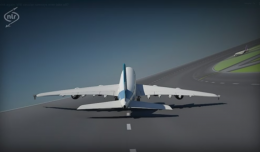 Upcoming improvements will create a new taxiway and more aircraft parking, both of which should increase the amount of traffic this little airport receives. Princess Juliana International Airport may not match the size of other regional hubs such as San Juan, Puerto Rico, but the experience may just match or even exceed it. 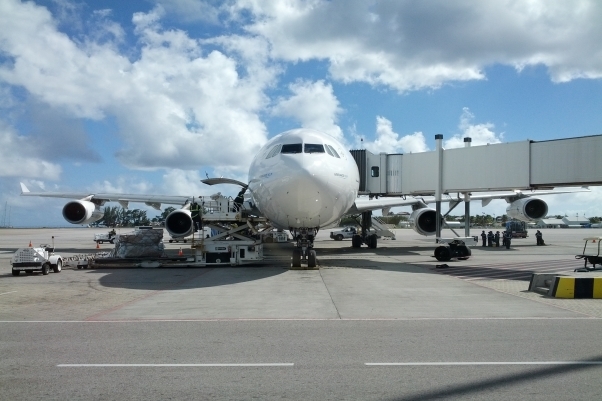 Airline pilot and columnist Justin Schlechter goes back to his aviation enthusiast roots to share the experience of his first trip to St. Maarten. thanks for the tips, i’m heading there in april! Enjoy! Feel free to send us lots of pics! 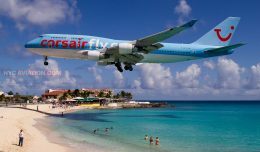 Devon, if you haven’t been to St. Maarten before, be sure to park yourself for a while at the Sunset Beach Bar at Maho Beach for some extreme plane spotting. Just don’t sit on the beach unless you want a sandblast skin treatment from the 150mph jet blast right over your head. and most important you can stock up on water, beer, and booze to savor on the long flight home out of paradise!